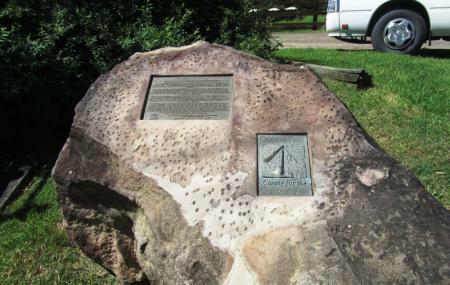 The Convict Trail is the Great North Road and its surrounding heritage sites. The Convict Trail is 240km long road that runs from Sydney to the Hunter Valley Region. It was built by convicts between 1826 an 1836 mostly by manual labour. Much of the road is still in use today and makes for a scenic drive or a bike ride. One can visit parts of it or the entire trail. There are several sites worth seeing along the trail like the Bucketty Precinct, Circuit Flat Bridge, Fernances Crossing Stone Culvert, Murrays Run Culvert and Ramsays Leap. The Greater North Road is part of the UNESCO World Heritage List of Australian Convict Sites. Be mindful of wild animals like kangaroos crossing the road when driving here. One can stop for a picnic at the Bucketty Site. Several sites require you to walk off the road so wear comfortable clothing and shoes. Bring plenty of water and refreshments. How popular is The Convict Trail? People normally club together Featherdale Wildlife Park and Olney State Forest while planning their visit to The Convict Trail.